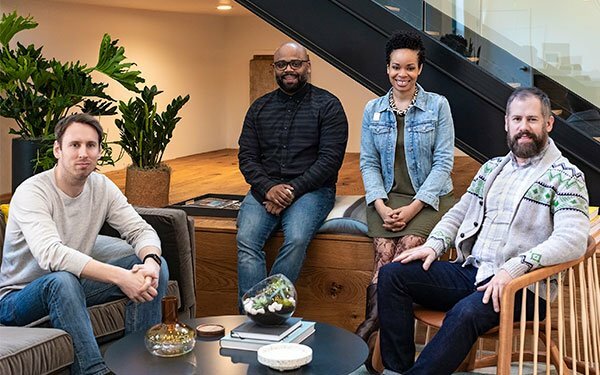 The Martin Agency has tapped competing shops for talent to bulk up its own management team in the wake of a string of new business wins, including Buffalo Wild Wings and UPS. Jordan Muse has been hired as senior vice president, group account director for the UPS business. He joins from Wieden+Kennedy New York, where he spent the last four years leading the Sprite, Jordan Brand and Vitaminwater brand. Muse also worked on the Nike and Old Spice “The Man Your Man Could Smell Like” teams. Lance Koenig has been named senior vice president, global group strategy director and will lead strategy work for UPS and Mondelez. Koenig joins from Forsman & Bodenfors in Toronto, where he was the Chief Strategy Officer for the agency Canadian region. He previously held global strategy leadership positions with Leo Burnett Chicago, DDB Chicago and MullenLowe Boston. Stephanie Jones has been named account director on TMA’s Mondelez team. She joins from VMLY&R Chicago, where she worked on Kraft Heinz business leading social campaigns, such as Heinz’s Twitter Mayochup launch and Kraft Mac & Cheese’s Fork vs. Spoon. Prior to Kraft Heinz, she worked across Bomb Pop, Tyson, Tazo, and was a founding member of VML’s Inclusion and Diversity Council. Filip Williander has been appointed creative technology director and will work with various creative and design teams at Martin. He joins from BBDO New York, where he worked on Bacardi, FedEx, AT&T, GE, and Lowes. Prior to that, he founded a digital agency called Pretty Handsome Nerds.